One of last year's big projects was making a reconstruction (within certain limits) of the funeral gown of Eleonora di Toledo, duchess of Florence, who died in 1562. 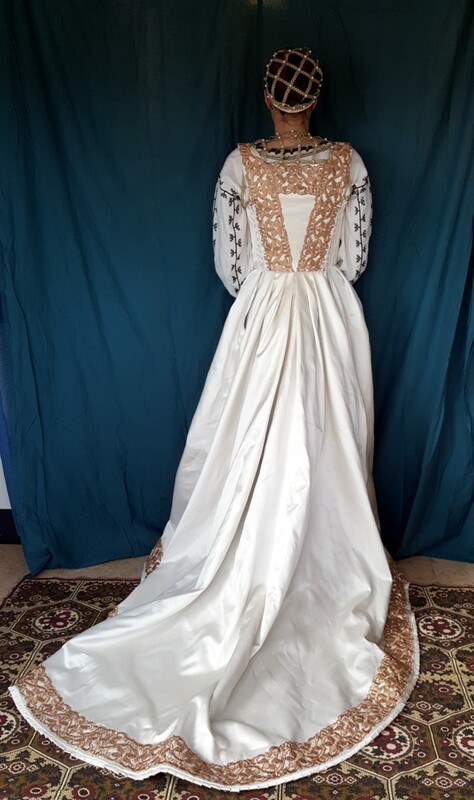 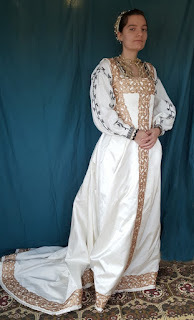 This included the gown, a netted caul and partlet, and a camicia (smock) based on another preserved 16th century garment, this one from Prato, another Tuscan town. You can read all about it over here, on its own documentation page, where there are also lots of photos.